Toyota realized a total revenue of US$90.4 billion worldwide, while the total market revenue amounted to US$1.3 trillion in 2018. The largest passenger cars segment, Medium Cars, accounted for 35% of Toyota's revenue in 2018. Toyota's second largest segment was the Small SUVs segment. It accounted for 34% of the makes revenue in 2018. 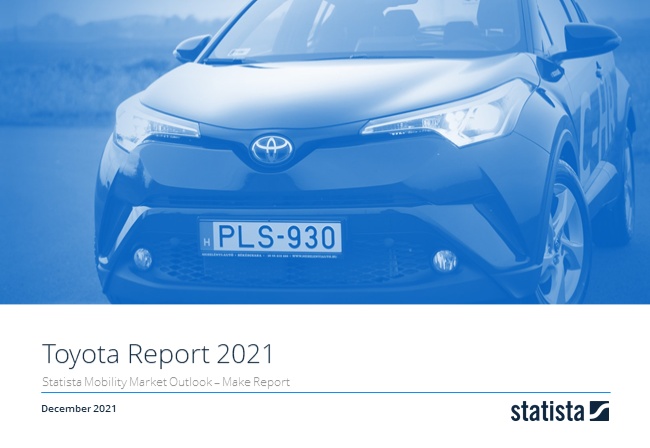 In the Statista Mobility Market Outlook Make reports our analysts compile an overview of the performances of car makes regarding regional and worldwide sales, revenue and market shares including forecasts until the year 2022. An overview of all Outlook Reports can be found here. Statista's Mobility Market Outlook presents the key performance indicators sales, revenues and prices of the most important passenger car markets worldwide by car makes. Our specialized analysts’ market calculations are based on data from validated sources.